Game played fine as of Neegan's tomato function. 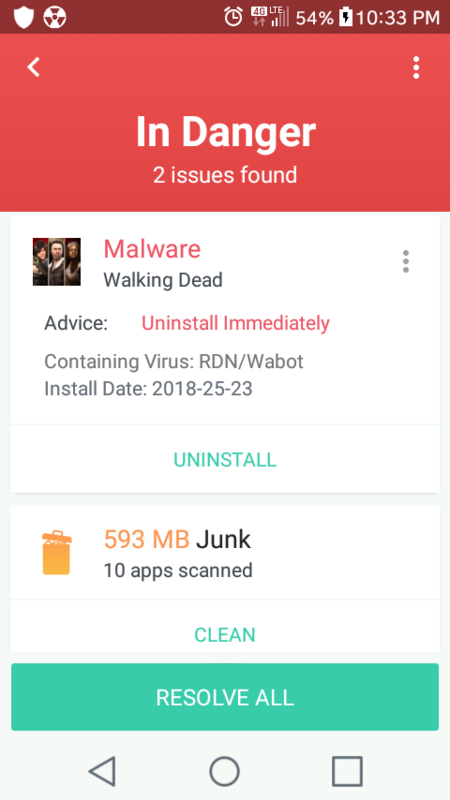 Updated game got a malware warning. Uninstalled then reinstalled 3 separate time. 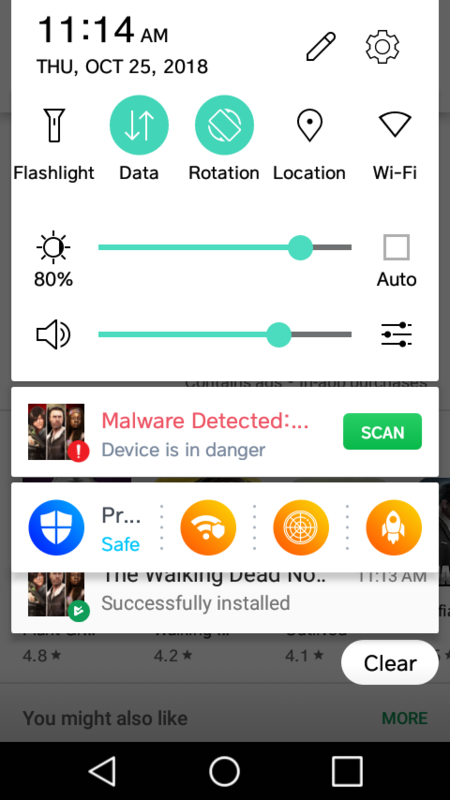 Keep getting malware warning. 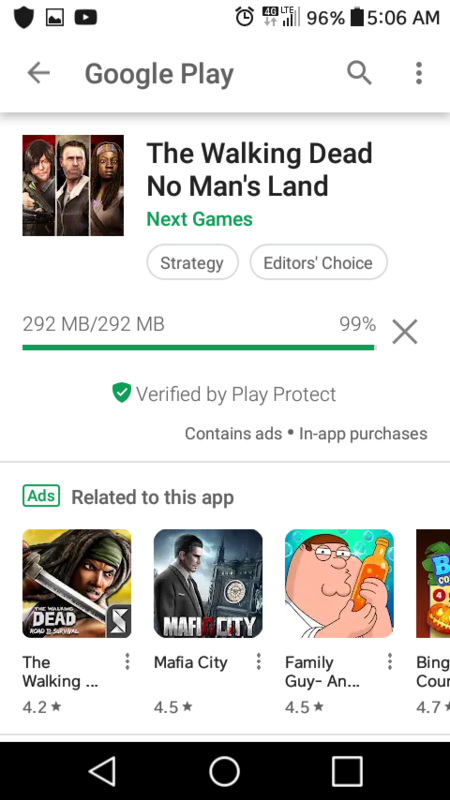 Are you downloading from google play? Yes. Each & every time. I only get the warning when game is installed. Never had an issue till last update. Currently uninstalled. Which av app are you using? This is the av app I use. Which I had before ever playing the game. 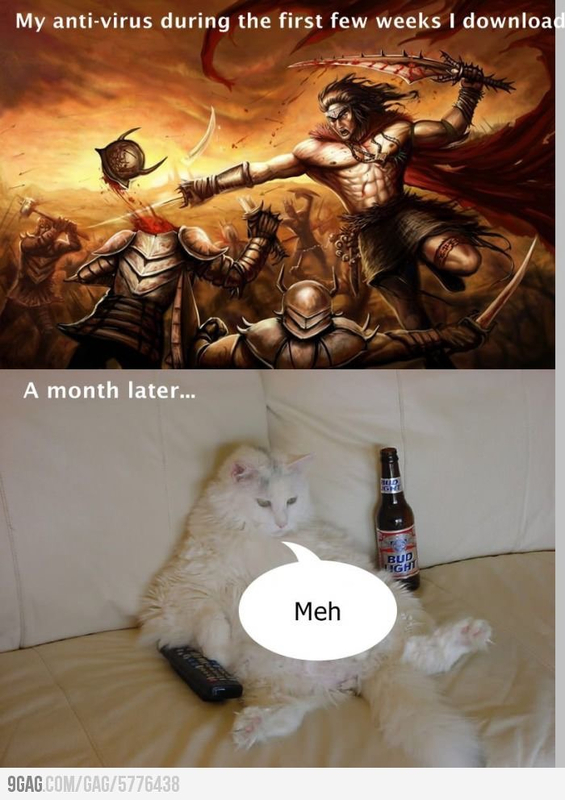 With game installed.... I only started getting this AFTER last update. I've created a ticket to the devs so they could look into it. I'll let you know once I have more information about it. As far as we know, we don't have any virus in our game, haha. Maybe the av needs to be updated or something? But anyway, hopefully, I'll get back to you soon enough! The install dates on the first screenshot is jacked up, 2018-25-23, and the last one says 2018-07-24 which would not be the latest update. The one release late last week I believe. Hope you get it fixed soon though! I know. I can't figure it out either. My game played fine, no issues. I did an update through Google play on October23(tuesday) after the Neegan spaghetti/tomato thing that was 1st pic. As soon as it finished I started getting that warning. I've since uninstalled/reinstalled at least 7 times. Every time now I get same warning. Last pic was from October24(Wednesday). If you look at the time & when I posted, that is correct. Does it give any indication of what Malware? It's possible the fact the game can send you notifications might be the cause. My suggestion would be to try a second scanning tool to see if the one you are using is hyper sensitive to a specific 'call'. It has been seen before. AndroHelm, ANTI VIRUS Security, ARSdev, AVC Security Joint Stock Company, AZ Super Tools, Baboon Antivirus, Best Apps Collection, BKAV, Booster Antivirus, Brainiacs Apps, Bsafe Labs, BSM SECURITY, CA Uber Apps, chkitham, CHOMAR, devapp81, Ellena Rehman, Fast Tool Mobile Apps, fluer-apps.com, Gamma+ Labs, Glagah Studio, GO Security, Gotechgo, GPaddy, AV Antivirus Security Ltd, Green Booster, H2, Hawk App, Hornet Mobile Security, Iobit, ITIanz iT Solution, Itus Mobile Security, Kara Inc., K-TEC Inc., lal bazai, LINE, looptop, Master VPN, Max Antivirus Lab, Max Security, Mobi Fox, MobiCluster, MSYSOFT APPS, Muel Dev., My Android Antivirus, NCN-NetConsulting Ges.m.b.H., NetLink, NOAH Security, Nozzle Ltd, NP Mobile Security, Octa apps, OG Kush, Oriwa, Power Antivirus, Pro Tool Apps, Puce, Radiant Apps World, Rgamewallpaper, Security & Antivirus for Android, Security and Protector for Mobile, ShieldApps, Simply Fantabulous, smallapp, SmartToolsApps, Super Security, TAPI Security Labs, Topi Maxi Group, ToTo Studio, TransApp, UFGAMES, Vasa Pvt Ltd, VSAR, W4VN Team, We Make It Appen, Wingle Apps, Womboid Systems, xplus apps, ZeroApp Ltd., and Zillya! Mobile. We consider those apps to be risky, as they are either dubious/deceptive or unsafe/ineffective. In a few cases the apps are simply buggy, e.g. because they have poorly implemented a third-party engine. 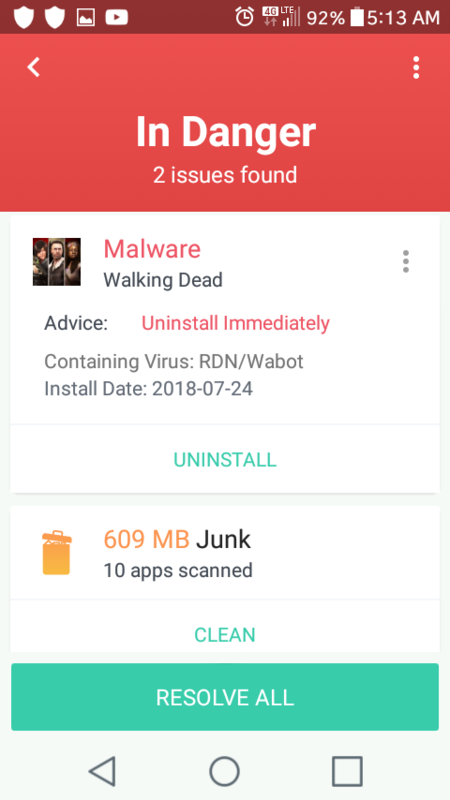 Some apps are clearly dubious, detecting only a handful of very old Android malware samples, and allowing all apps which contain certain strings, making them likely to pass some quick checks and thus be accepted by the app stores. As your chosen Antivirus software is within the named 79, I'd reconsider if the problem is on your end. Please, for your own safety and peace of mind, see if any of apps below are currently on your mobile devices. AV-Comparatives considers each of these to be either risky, dubious, deceptive, unsafe, ineffective, or buggy. Obviously one can find positive reviews for just about any product, I am more the type that looks at the negative reviews. Anyway, just trying to assist. Hope this information was of some use to someone. ShadowaceAZ, as I've shown in screenshots it keeps saying or showing VIRUS : RDN/WABOT. That's all I can tell you. It NEVER happened till I completed last update. Oh and also my screen gets brighter than nonstop could that be a virus ? And all I'm saying is no other person is getting that message so it's a high probability that you are receiving a false positive. Maybe you want to email [email protected] as that is the developer. 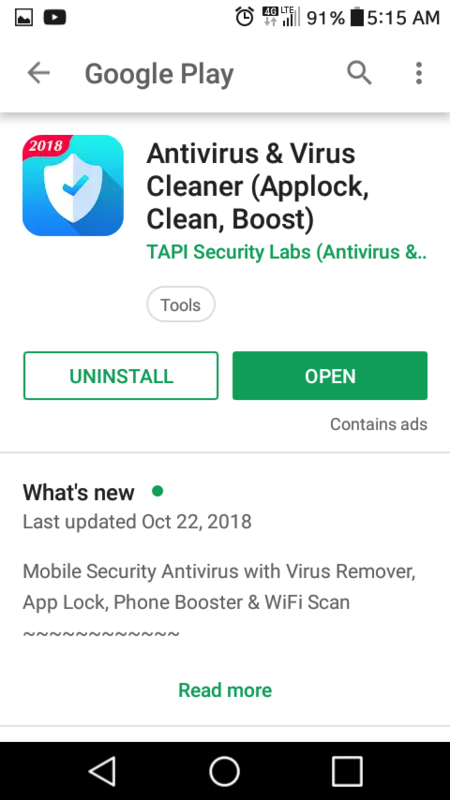 Most antivirus companies have a website that explains what each positive result is, Tapi Security Labs has no such place, so the developer is the best option. Wabot is a IRC worm that changes some settings in the system. It targets Microsoft Windows users. Note: The file contains the word Marijuana in ASCII art. HKEY_LOCAL_MACHINE\SOFTWARE\Microsoft\Windows NT\CurrentVersion\Winlogon\"Shell" = "Explorer.exe sIRC4.exe"
Please understand why I'm trying to show you this is most likely a false positive due to using one of the worst antivirus apps in the play store. I'm also trying to help stop a panic me to movement. Mission accomplished @ShadowaceAz I’m so relaxed. I'm not trying to cause a pandemic of "me too's", I'm just trying to figure out why after using that same av app this whole time (from the 1st time opening the app EVER, till now) that all of a sudden I started getting the warning after 1 update. I'll try another av app and see what happens, but that still won't explain the SUDDEN problem I developed. Could you check the update history of that app? I use AppAnnie to monitor Apps I use, however that particular app does not have a high enough usage to be listed by AppAnnie. Do you check daily to see when an update was done on each app? 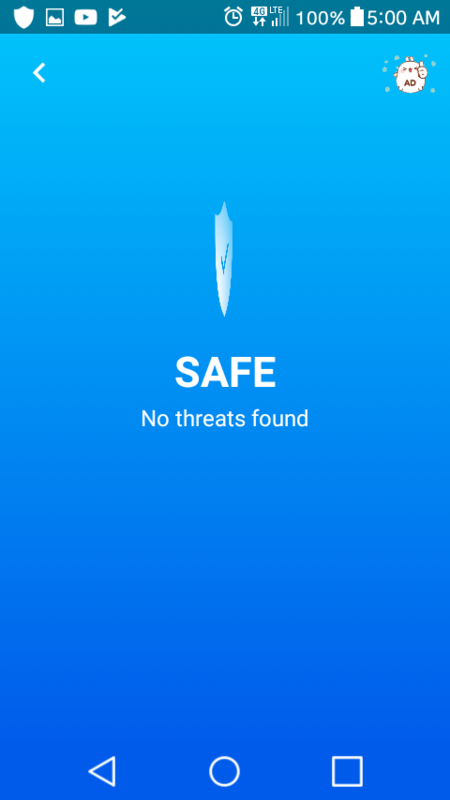 I'd assume the problem happened at a specific time because of an update to the Tapi Security Labs app, not NML. My old av app was up to date at the time. 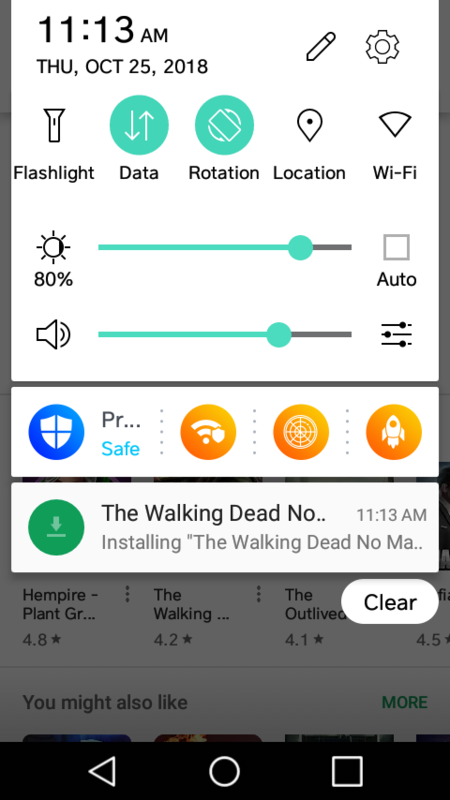 I updated WD on the 23rd (the Oct 19 update). After it finished it flagged with the virus warning. The game never flagged before, even when using that same av app on previous updates. I got a new av app. So far so good. Yeah. There's been a few "watch videos" that froze or reloaded the game, but otherwise no problems I've encountered yet. The game is at least playable now. @LASTxRITES How are things going for you? We haven't received any other report about this issue, but let us know if something else pops up! The only issue I'm currently having is the "watch videos" (to get 3 more keys...) keep freezing or restarting my game. Aside from that everything is working perfect.